Demand for fuel-efficient vehicles has created a renewed interest in the use of light alloy extrusions in the transportation and aerospace industries. A high strength-to-weight ratio of aluminum and magnesium extrusions makes them an attractive substitute for steel components. In addition, extrusion offers the unique advantage of producing near net-shaped products with superior and controllable product quality. 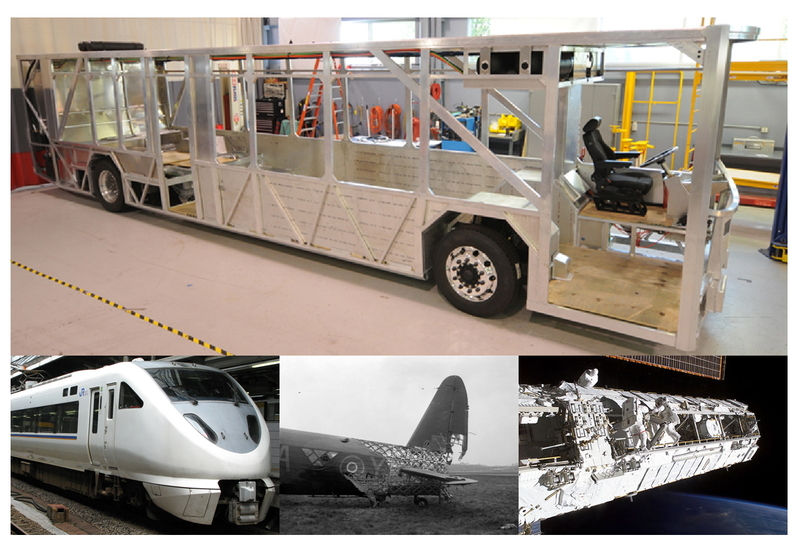 Space frame structures, bumper beams, truck beds, and railway frames are some of the extruded components used in transportation applications. Lightweight structures and heat exchangers are commonly used to reduce satellite payloads. These challenges, coupled with intense global competition, have engendered a new approach to extrusion die engineering and manufacturing. The manufacture of extruded profiles begins with die design. The primary goal of a die designer/extruder is to ensure that the die will produce a profile of the desired shape within allowed dimensional tolerances. Upon achieving this objective, the extruded part should also meet or exceed product quality requirements like strength and surface quality. Finally, optimizing the extrusion process itself improves productivity and profitability. These goals are typically managed through the use of die trials. Can we get a working die starting from an initial design? What is the quality of the extruded product and can this be improved? Can the process be optimized to increase productivity? The first step is to achieve a balanced material flow and uniform temperature at the die exit. Flow stress of an alloy is a function of temperature, strain rate, and strain. This material behavior together with the friction at die walls determines how material deforms throughout the die. This coupled nonlinear thermo-mechanical process is accurately simulated in HyperXtrude® to predict the flow and temperature. 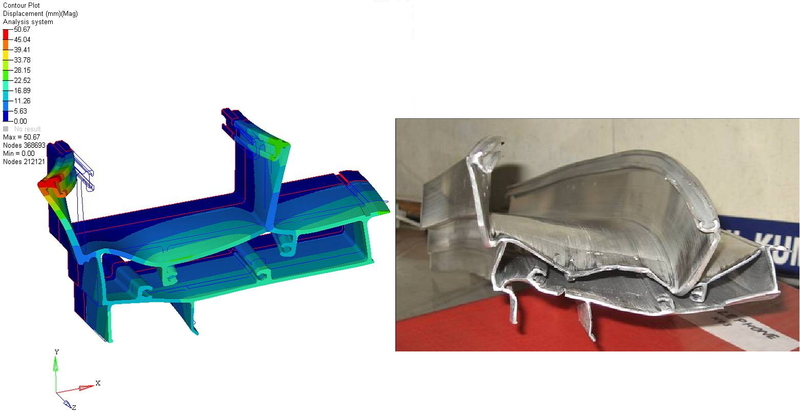 Hence, a simulation with HyperXtrude can precisely determine the shortcomings of the initial design. Using the automatic bearing correction module, HyperXtrude can correct the initial die design and achieve a balanced material flow at the exit. Product quality is determined by a variety of metrics depending on the application. Some of these metrics include dimensional tolerances, weld strength, surface quality, and grain size distribution. For example, let us consider weld strength. There are two types of welds that are formed in an extruded profile. 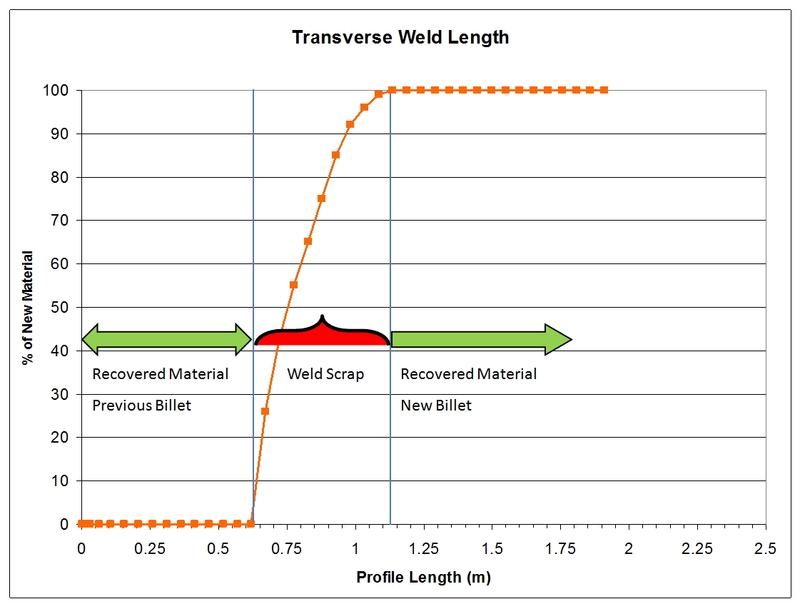 Transverse or charge weld is formed due to billet on billet extrusion and its determination is mainly required for scrap prediction. In the case of porthole dies, material divides and flows through different ports and then merges back in the weld chamber to form the profile shape. This results in seam welds which are critical to product quality. If a product fails during application because of poor weld strength, associated costs and other consequences may be prohibitively expensive. 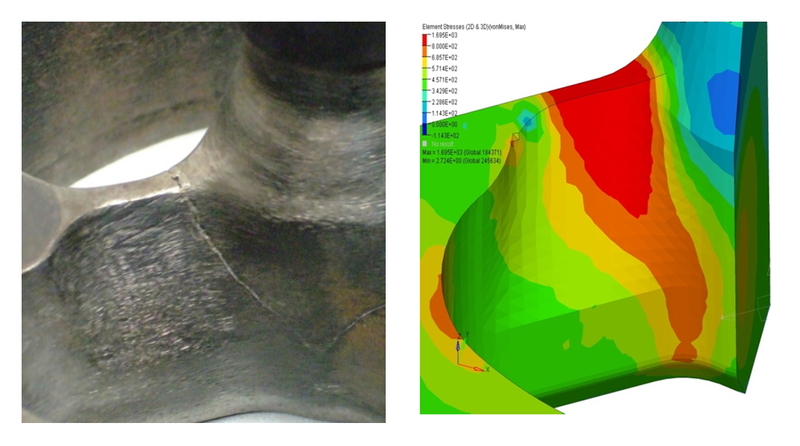 HyperXtrude can be used determine these weld regions and their strength. 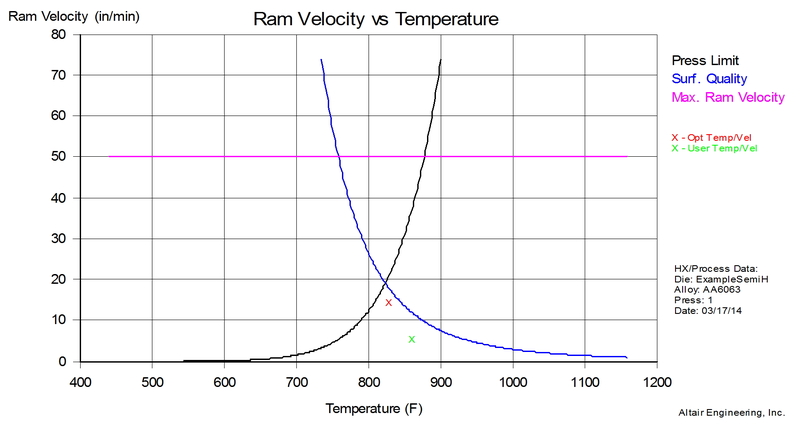 Optimization of an extrusion process includes better utilization of available resources (e.g., which press to use), optimal billet length to reduce scrap, optimal ram speed and temperature to achieve best possible productivity, optimal billet taper heating to produce near isothermal extrusion, etc. HX-Process is a quick design tool and it is used to determine these optimal conditions in just few mouse clicks and these conditions can serve as starting point for detailed simulation using HyperXtrude. 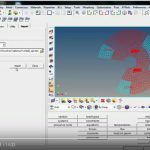 In addition, HX-Process is used for preparing a quotation and managing an extrusion database. Extrusion die design must consider tool deflection from two points of view. Firstly, as a part of the flow simulation to see if the deflection of the die cap or mandrel will lead to loss of product quality. Secondly, to determine the possibility of a tool failure due to excessive stresses in the production line. A premature failure in a few billet cycles will disrupt production and increase the cost of extrusion. 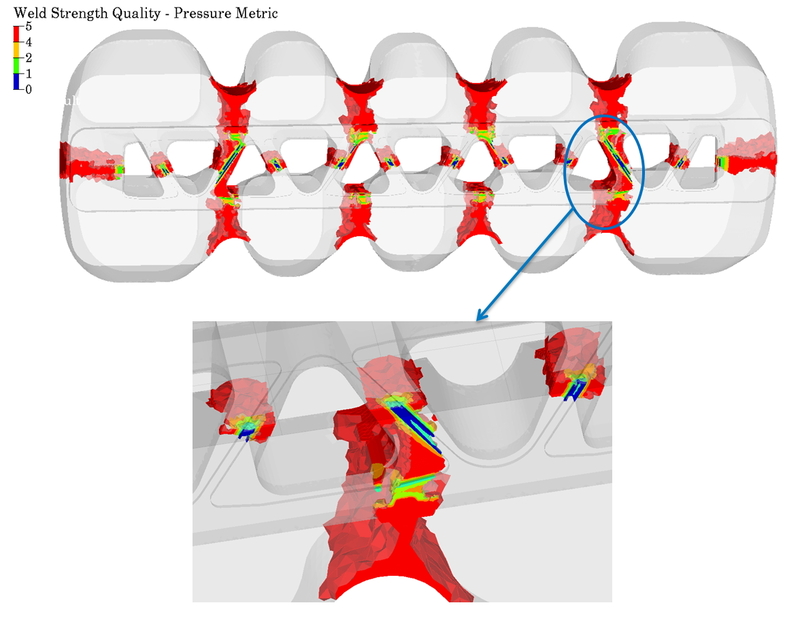 To avoid this, tool stress analysis using the loads computed by HyperXtrude with OptiStruct® is performed to determine the regions of stress concentration and potential failure in these regions. 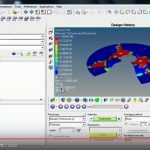 Using simulation capabilities in HyperWorks, an extruder can meet the goal of optimizing the process and improving product quality even before cutting the first die. 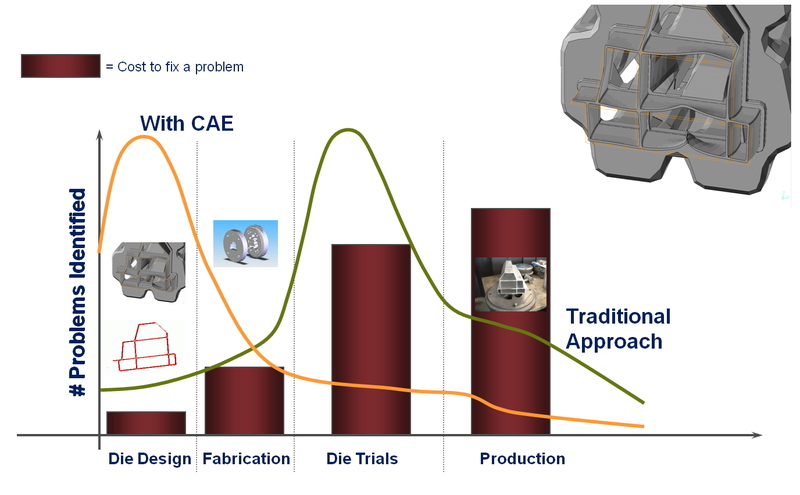 Unlike other industries, CAE for the extrusion industry has to meet the stringent “ease of use” criterion. A shop floor engineer should be able to start with the computer-aided design (CAD) of the die assembly to get the simulation results with minimal effort to be successful. HyperXtrude is continuously improved with ease-of-use in mind. Starting with the CAD of a die assembly, the user may extract the flow volume and set up the model for analysis in just a few minutes. This powerful technology is accessible to all levels of users. For additional information or a product demonstration, please contact hxsupport@altair.com.